I can’t believe we are already into 2019 and in June it will be 24 years since I achieved my dream and opened my own trekking centre. It has been a long and interesting journey, with many ups and downs along the road, and one person has been with me every step of the way. Many of you know him, my longest standing client, and were delighted when he celebrated his 77th birthday last year with a trek on his beloved Brodie. So this week I thought it would be fascinating to hear from him about his journey alongside me at the trekking centre. It’s over to you JOHN BROOKS. 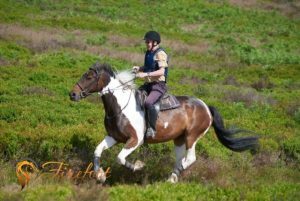 Years ago, when I was first learning to ride, I used to enjoy a trek at a stables on Cannock Chase owned by a showjumper called Joe Gregory. He had three daughters and the littlest one was about five at the time. Her name was Lisa and she was bold and confident and pony mad. I could not have imagined then that all these years later we would still be friends – and really, she hasn’t changed a bit! I started riding in 1974 at the age of 32. I was Mayor of Lichfield at the time and the then Sheriff asked me if I would join him on the city’s annual traditional beating the bounds ride. I said I couldn’t ride at all but would learn in time for the event. In fact I only rode about eight times and then went on the Sheriff of Lichfield’s ride. I wouldn’t recommend that! It wasn’t the well organised day it is now – it was more like the Charge Of The Light Brigade! I just about managed to stop on, only saved by the fact the horse I was on was very unfit and ran out of puff in every gallop. But it didn’t put me off, far from it in fact. I was riding at Brian McMahon’s racing yard, where they also took rides out. I also rode at Middleton Equestrian Centre, and then I found Lisa’s dad’s place. I rode at a lot of places and have kept a record of all the different horses I have ridden over the years. The total stands now at 247! Then in June 1995 I saw a newspaper advert for a new stables opening at Teddesley. 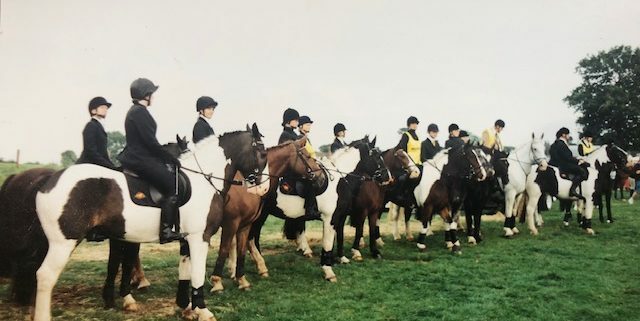 I went along in the very first week and was amazed to find that the owner was that same little girl I had known years before – now all grown up and putting me on a massive 18hh shire cross called Simon. And I have ridden with Lisa ever since. 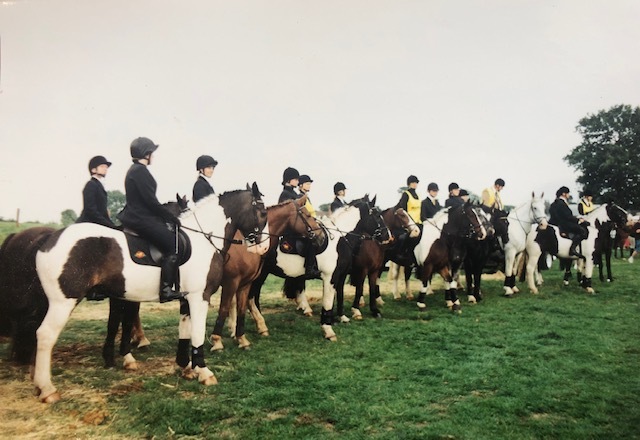 Her original stables were here, on the site we are on today, but when Cannock Chase was closed due to forest fire risks in 1996 we moved over the road and kept on riding. It was a tough time but Lisa battled through and stayed in business with 18 horses. Then Lisa moved to Brocton for six years and the horse herd grew to 26. In 2001 she was able to buy her original site and the whole operation moved back here and continued to grow. I have always ridden twice a week and still do. When I was working I would come for the day on a Sunday with some sandwiches and a can of lager and do both the morning and afternoon rides. In 1996 I convinced Lisa to join me on the Sheriff’s Ride. 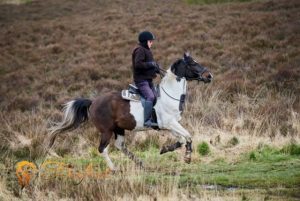 There was just me and her back then – last year she took 25 riders! Altogether I have completed 30 and there were some very scary incidents in the old days. Health and safety hadn’t been invented then! Over the years Lisa has become vitally important to the ride and I think she and the marshalls she provides are instrumental in keeping it going. Without her input it could have died. I am so pleased to see what the Centre has become. It is a long way from my can of lager days and it is so nice after a ride to come back to the bistro and enjoy a good coffee and some lunch, especially in winter when the log fire is blazing away. But it hasn’t been easy for Lisa. Sometimes it has been a real struggle but she has so much determination and stamina that it keeps on getting better and better here. And over the years she has got better and better as a trainer. 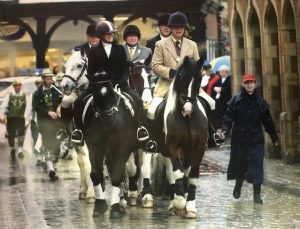 She always learns from experience and so the quality of horses continually improves, especially as she has trained many of them from foals. 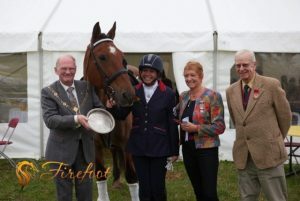 And she is excellent at not only training horses but pairing up riders with the right horse for them. That is a fantastic skill. 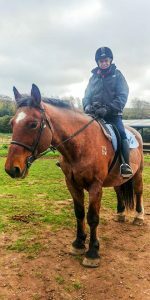 I have so many happy memories and have ridden some excellent horses and I have to say that Brodie is my all-time favourite. He has been a wonderful horse for me and I have done so much on him, including eight Sheriff’s rides. But I am getting old now and the horse I enjoy riding most is Lola. She is fast and forward going and she goes very easily and nicely. It is not hard work for an old man like me! When I worked I found coming here was a stress buster for me. Riding horses is a very healthy and therapeutic hobby. Now it keeps me fit and well. A few years ago I had a heart problem and the doctor was amazed at how quickly I recovered and got back to full fitness. My heart efficiency returned to normal and that happens only in one per cent of cases. I credit riding for that. Riding at the trekking centre over the years has always been a real pleasure, but it has been more than that. It has been, and still is, a very important part of my life and I intend to keep going for as long as I enjoy it. 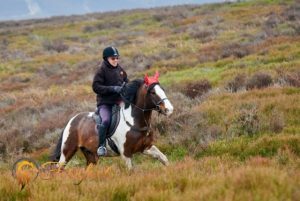 There is no better riding anywhere than Cannock Chase and if you really want to enjoy your riding there is no better place than this.